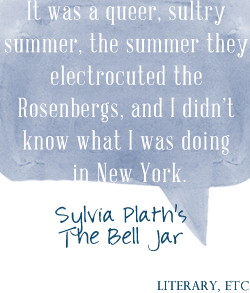 Today’s book is Sylvia Plath’s The Bell Jar. I really tried to read this one, but I couldn’t get through it. I had to DNF it. It was just boring. Cynthia @ Bingeing On Books recently posted…I Survived My First NaNoWriMo . . . Barely.